Below is a description of the second level support service on the pfSense® CE system that we are able to provide. HOW CAN I HAVE A QUOTE? Write an e-mail as detailed as possible, possibly accompanied by attachments, which will be submitted to the technical part. pfSense® CE is a very complex and complete product. We have been working there for many years and we have hundreds of installations behind us. So at this stage our technicians evaluate the feasibility of the project and quantify its commitment. The estimated amount is communicated to the Customer by means of an order form where it is possible to view the contractual conditions. The order form must be sent back by fax or e-mail. As soon as the administrative part approves, a contract number is assigned to the customer who can thus contact the technical part and start the consultancy. How is the reporting of time? Our software works in 15 minute shots. Can I request the construction of entire network infrastructures? Yes, this is our job. We can provide support to solve problems from small problems to consultancy to carry out complex projects. Since I am an IT operator, can I see what the technician does and can I have an explanation? Yes, we are OPEN also in the consulting! The service purchased gives the right to know and/or see everything the technician performs on the remote system. Do you also provide advice on other products such as Zeroshell, IPCop, etc …? 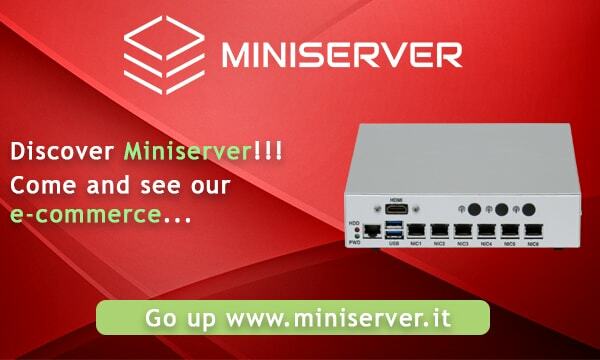 The platform used mainly is pfSense® CE, for other systems it will be necessary to carry out a custom project. What happens if the consulting hours end and I still need the consultancy service? The service must be repurchased. (*) For the remote connection it is necessary that the Customer gives us the authorizations, as part of the tele-assistance activity, from the responsibilities as per art. 615-ter c.p., authorizing us to access and maintain our IT system, even if protected by security measures, in order to carry out the activities involved in the service.